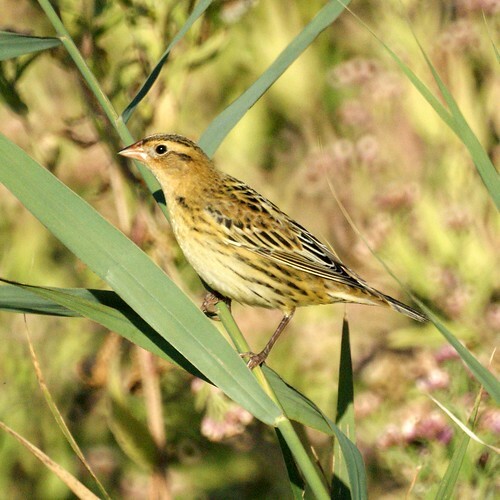 So, we've always wanted to see a bobolink in part because Bo-Bo-Link is fun to say. Turns out, they are actually called Bob-o-Links, not Bo-Bo-Links. We were describing a bird we had seen to some other birders and asking if it could possibly have been this, that, or the other bird. When we said we wondered if it was a Bo-Bo-Link, we found out we had been pronouncing its name wrong. Maybe if we hadn't been so careless with its name, we would have seen one sooner? Still, we think it's more fun to call it a Bo-Bo-Link, but we'll try and correct ourselves in the future. 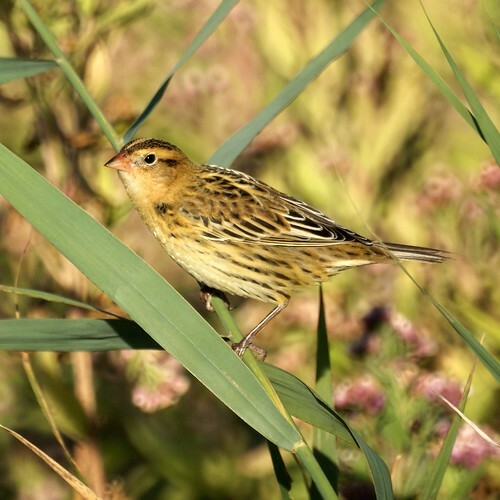 And we still hope to see a summer male Bobolink with that crazy white hairdo.